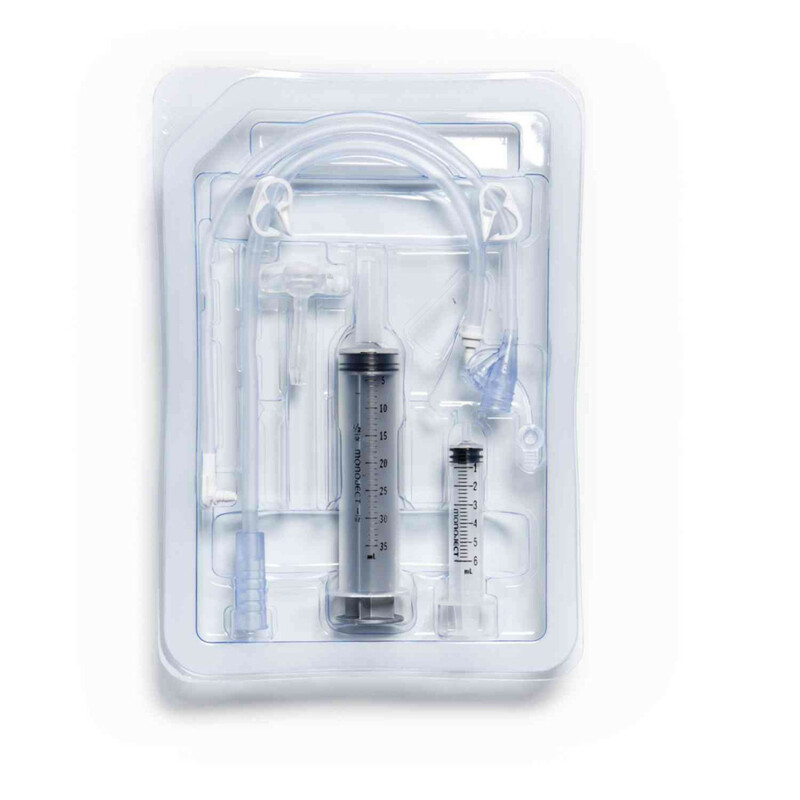 The Mic-key Low Profile Gastrostomy Tubes enable caretakers and in-home patients to deliver Enteral Nutrition to the stomach. 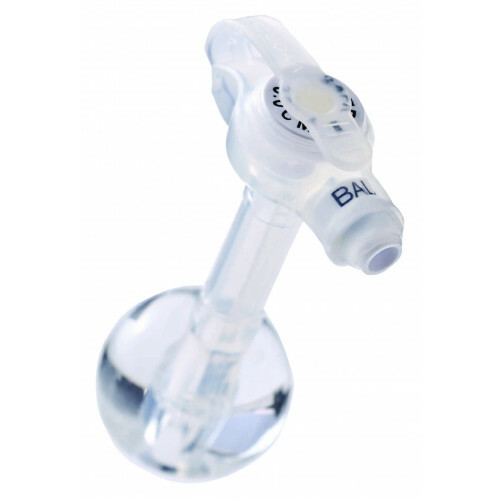 The Mic Key Low Profile Feeding Tube features medical grade silicone construction and delivers optimal performance and value to users. They also include a conventional and low-profile design. The low-profile design makes it unobtrusive and easier to conceal. Its ventilated Secur-Lok external retention ring provides optimal stoma health through enhanced air circulation around the stoma and also helps prevent migration of the tube itself. 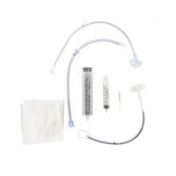 For a well-respected and widely used gastrostomy tube, the Avanos MIC-Key Gastrostomy Feeding Tube is a great choice. 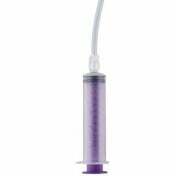 Kimberly Clark Ballard is a leader in the enteral feeding tube market. 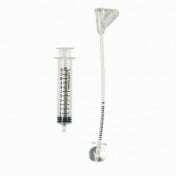 They offer a wide variety of high-quality and unique enteral feeding tubes. 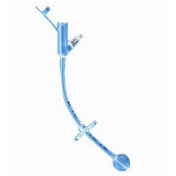 As the pioneer in the development of the first balloon retained tube designed for gastrostomy feeding, the MIC KEY brand of enteral feeding tubes has become well recognized and accepted among health care professionals. All Mickey enteral feeding tubes are constructed of high clarity medical grade silicone and most feature the patented Secur-Lok ring, the external retention mechanism designed to allow air to circulate around the stoma site for optimal stoma health. 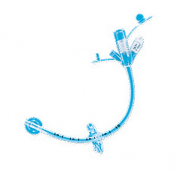 Kimberly Clark also manufactures a Mickey Bolus Gastrostomy Feed Tube for scheduled feedings, a Mickey Low Profile Tube for even less obtrusiveness, and Mic Key Tube Extension Sets. 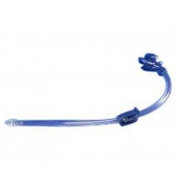 Inflatable silicone internal retention balloon reduces patient trauma experienced with obturated devices. Tapered distal tip for easy catheter insertion. Clearly marked feeding, medication and balloon ports. 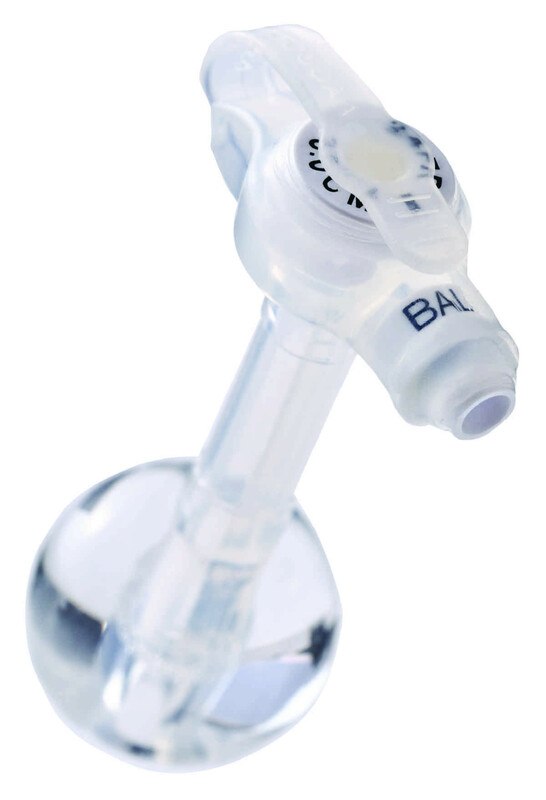 External retention mechanism designed to allow air to circulate around the stoma site and reduce tube pressure 360° from the sides of the stoma wall. Radiopaque stripe to aid in catheter visualization. Graduated centimeter markings for tube position verification. LUER-LOK balloon port to ensure secure syringe connection. Color-coded balloon port according to catheter French size for ease of identification. Distal Tip recessed at 5 ml (3 ml for 12 French sizes). Stoma Size Options: 0.8 cm to 5 cm. French Size Options: 12, 14, 16, 18, 20, 24. I'd like to know if there is expedite shipping to Mexico City. Also, do you require a prescription or any special paperwork for this item? We have both expedited and standard shipping options for international shipments. Simply add the product to your cart and select, international checkout. Prices and ship-dates will be calculated. These products will require a doctors prescription, but we can accept international prescriptions as well. When will the company create a larger size Mic-Key Button than the 5.0? Do you ship to France? Did you experience any problem with Custom clearance? We are able to ship to France at an extra cost. Please use our international shipping feature and select the country you want the item shipped to. Shipping costs will be adjusted upon checking out. Our daughter has been using the mickey low profile g tube for 20 years and we are always happy with the product. I have seen others with long tubes, but this low profile is great. It doesn't get in the way and stays secure in the abdomen. Vitality medical is always prompt in their shipping and we have never had any problems. Very pleased with this product. I've had a couple of types of G-tubes, but this type works the best for me. I agree with other reviewers that the flush mount is much preferred than a long tube to deal with! The staff, service, and shipping with Vitality Medical were stellar! Love the product. The shipping and help have been excellent. Have recommended them, and will order from Vitality again. 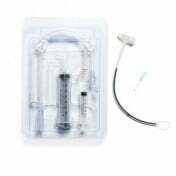 I have been using a G-Tube for 13-years and absolutely LOVE the MIC-KEY Tube Low Profile Gastrostomy Feeding Tube! For years all I had was an 8-10 inch tube flopping around out of my abdomen. I was embarrassed by the way it bulged under my clothing and nervous the tube would catch on something and be ripped out. I always wore loose clothing and consciously protected my abdomen everywhere I went. When I first received the MIC-KEY Low Profile Tube, I was more confident and immediately relaxed. I no longer feared my tube might be pulled out and finally felt comfortable enough to wear a bathing suit. There have even been several doctors who have seen my MIC-KEY Low Profile Tube and been very excited and interested in the product! To top it off, I can even push blended table food through the tube instead of the dull and boring formula which has positively changed my outlook on eating. My health and weight have improved tremendously, and I can finally enjoy eating again! Thank you for helping me feel more comfortable about a difficult and life-long situation. was expedient and I thank you for that.. I give you an A + for everything!!! Hands down better than the old long tubes. The MIC-KEY kit is great but would be better if items could be ordered separate. I've been ordering other products from Vitality for years. Excellent prices and service. Keep it up! I intend to purchase from this company for a long time.